Make Valentine's Day special this year! Make Valentine’s Day special this year! Have you sometimes skipped Valentine’s Day because it fell on a Tuesday or Wednesday? It’s on Friday this year, so you’ve got the whole weekend to do something special! Spend a night–or two–at the Bottger Mansion of Old Town Bed & Breakfast and add the Lovers’ Special dinner at High Noon Restaurant. It’s a 5-course chef’s tasting dinner paired with wines. 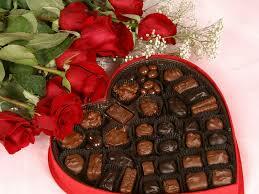 Or add our Spicy Romance Package with roses and chocolates. It seems the longer you’re together, the less attention you pay to those special occasions. This is the year to put the zing back in your relationship and fall in love all over again! Come on–what are you waiting for? National Pie Day is January 23rd–how about key lime pie? — Chocolate-Ancho Chile Flourless Cake recipe–it’s National Chocolate Cake Day!